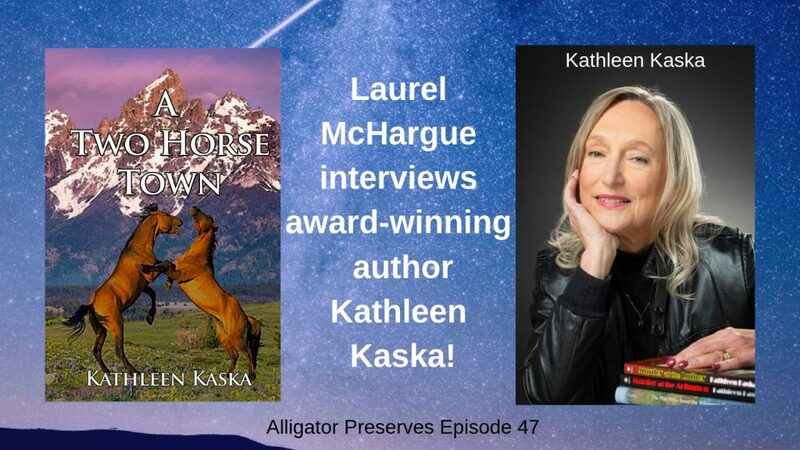 Alligator Preserves Episode 47: Kathleen Kaska Talks Murder Mystery! 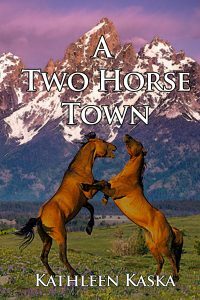 Award-winning author Kathleen Kaska visits with Laurel and discusses “A Two Horse Town,” the second book in her Kate Caraway murder mystery series. An animal rights activist herself, Kathleen focuses on those she relates to best: the underdogs. 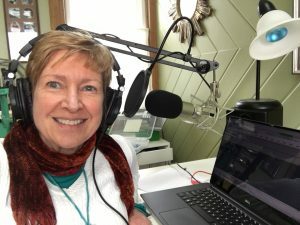 She writes in multiple genres, including historical fiction, and also talks about her Sydney Lockhart mystery series and mystery writer “triviography”! • Why an Animal Rights mystery series? What in your background set you up to be an animal rights activist? • What did you do as a child for fun? • Who inspired you to write? • Would you read a passage from A Two Horse Town, your most recent novel? • What is your writing routine? 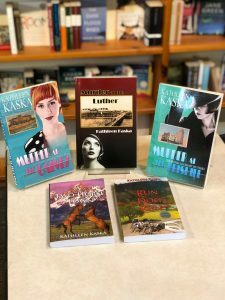 Many other books by Kathleen Kaska• You’re a PANTSER. So many characters! How did you keep track, and were there any surprise characters that popped up as you wrote? • Please discuss your character’s greatest fear (in “Run Dog Run” Kate’s is failure). What’s her fear in A Two Horse Town? • What’s YOUR greatest fear? • IDA! Counterweight to her twin sister Veda. Real people? • Another scene to read? • Any personal experience with Native American tribes? • What’s next for Kate Caraway…how many? • Sydney Lockhart historical fiction series–Might you come to the Delaware Hotel in Leadville? • How many more books are waiting for you to write them? • Do you have a favorite book of yours? 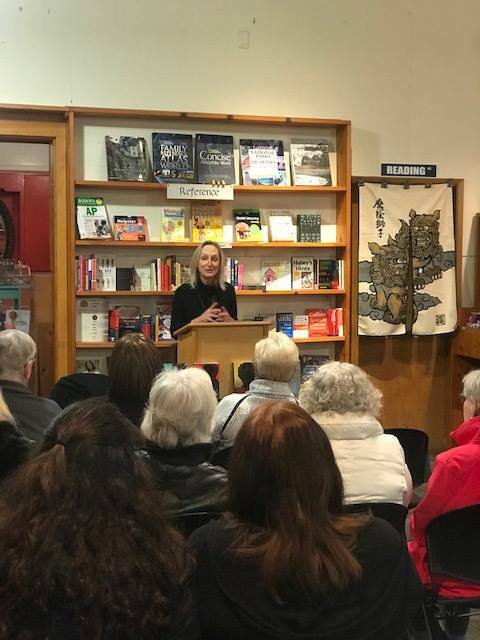 Kathleen speaks to an audience of fans at Watermark Book Company in Anacortes, Washington! Thanks for having me as a guest, Laurel. You are so much fun to talk to. I enjoyed our visit immensely! Thank you for sharing your world! I love finding a new mystery series with a character I can relate to. Kate Carraway is that kind of heroine, and Kathleen Kaska is my kind of author. Thanks for this wonderful glimpse into both. Thank you for taking the time to listen and comment, Saralyn! I’m stunned by how many wonderful works by relatively unknown authors are available today (and I mean “unknown” in the not-yet-blockbuster-famous way). A reader’s greatest obstacle, however, is that elusive thing called time (to read them all)!